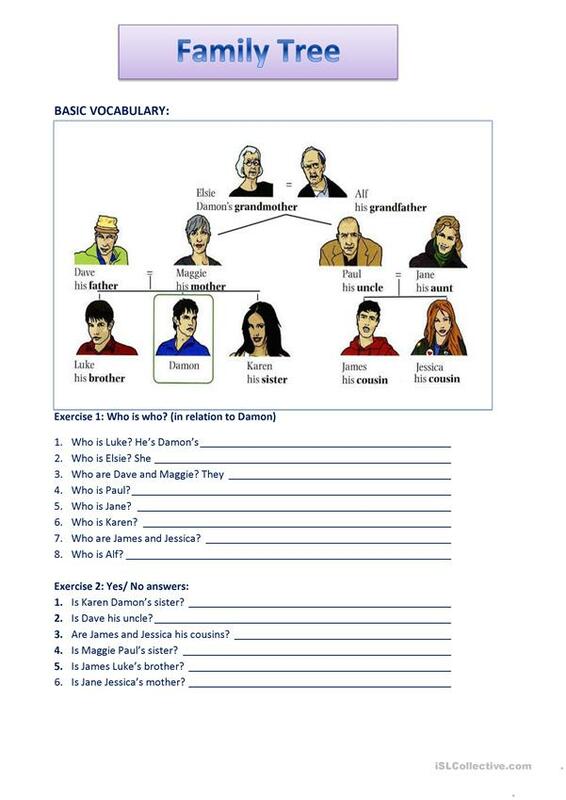 Some vocabulary about family members and exercises related to family trees (2 pages). 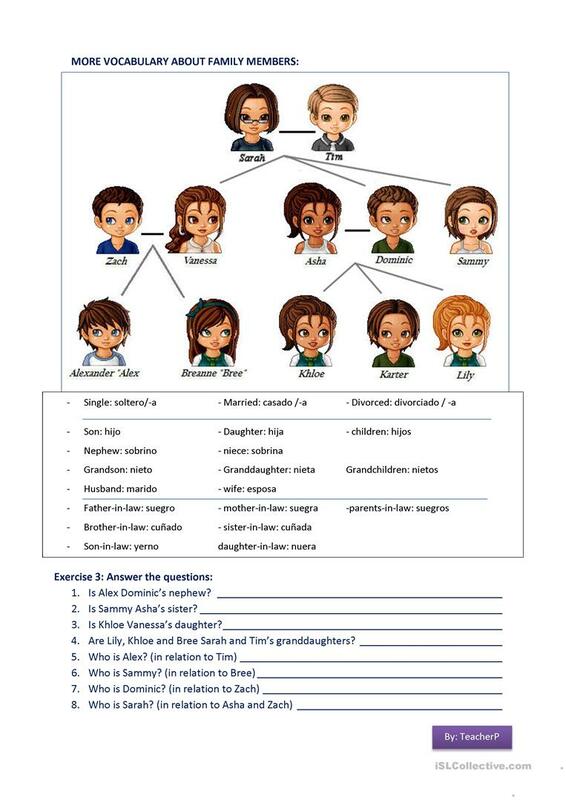 This printable, downloadable handout is a great resource for elementary school students at Elementary (A1) level. It is useful for enhancing your pupils' Reading and Writing skills. It focuses on the topic and words of Family.